Millbrook Pony Club – All Things Equestrian for Everyone! 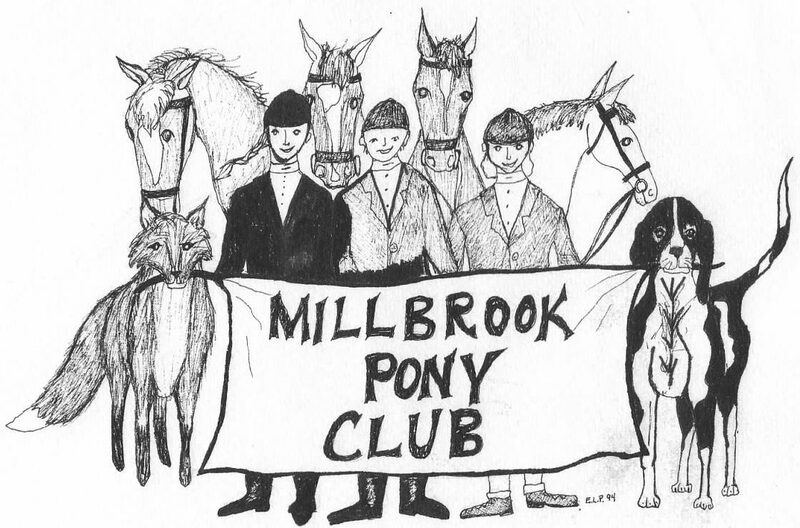 Welcome to the Millbrook Pony Club! The US Pony Club (USPC) provides opportunities for instruction and competition in English riding, horse sports, and horse management for children and young adults up to 25 years of age.The Millbrook Pony Club (MPC) is made up of members of different ages, ratings, interests and abilities from Dutchess County, NY and the surrounding areas. USPC is unique because its educational programs place equal emphasis on the teaching of riding skills, horse-care fundamentals, and team participation with sportsmanship. From the moment youth join USPC until they graduate, they are part of a broad network of activities and educational programs that promote the health and safety of both horse and rider. USPC is dedicated to developing knowledgeable, competent, responsible, and caring horsemen. Barbara Meyer Hunter Pace October 28, 2018 @ Wetherfield 9-noon Rain or Shine! Come join us! A big thank you to all the riders and volunteers at Rombout Hunt’s hunter pace. Start, Finish, Registration, Scoring, Rest Stop, Food Tables, etc, etc., hearty bravo’s all the way around. The success of the day can be measured in smiles at the Finish line and bowls of chili consumed. And the steak sandwiches have started a new MPC tradition (I hope). And what a beautiful day to be out in the countryside with horses and horse people. Special thanks to our gracious and generous host, Doug Nieters, and his Rombout Hunt team, for sharing their hunter pace with Millbrook Pony Club. Also thanks and best wishes to Brian Wilcox and Jamie Manning for being with us on Veterans’ Day weekend.